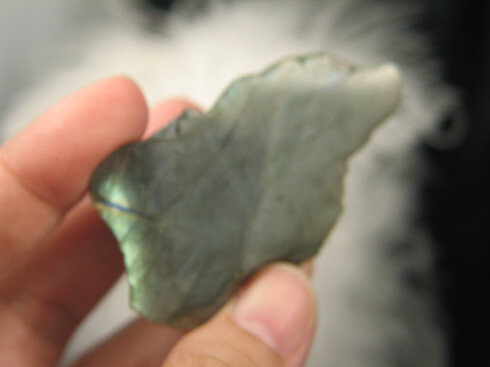 This is a nice semi-polished piece of labradorite. It has nice flash, but is very picky directionally. Maybe its just reminding you to take a moment to quiet your mind. Although we have many favorites, there will always be a special place in our hearts for Labradorite. 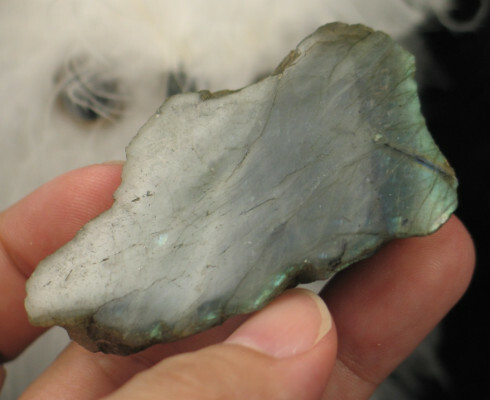 Like a magpie attracted to a glittering object, the flash of labradorite is just too beautiful to pass by. 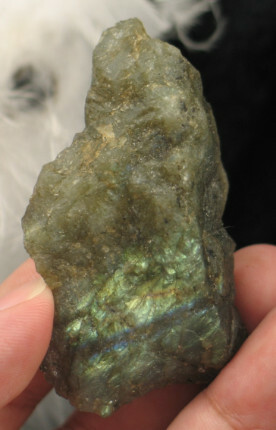 Labradorite is a feldspar which is related to both sunstone and moonstone. It is named from a find on the Labrador peninsula in Canada, however this beautiful material can also be found in Madagascar, Mexico, Russia, and in the US. Its unusual color play is called labradorescence and is known to show vibrant hues of green, blue, gold, orange, and sometimes red or purple. The energy of labradorite is very calming and uplifting. I continually use it under times of stress for its soothing energy. It helps to dispel anxiety attacks too. Labradorite is also known to assist one to connect to their higher awareness, opening one to their intuition. Labradorite is a feldspar which is related to both sunstone and moonstone. It is named from a find on the Labrador peninsula in Canada, however this beautiful material can also be found in Madagascar, Mexico, Russia, and in the US. Its unusual color play is called labradorescence and is known to show vibrant hues of green, blue, gold, orange, and sometimes red or purple. Labradorite helps purge negative thought patterns. It gives great insight and vision and allows one to communicate these gifts in a beneficial way for the self and others. It helps you integrate the new energies coming in at this time in a seamless fashion. Labradorite brings out the best qualities in you, to be all that you can be. Thus it is a powerful self esteem building stone. 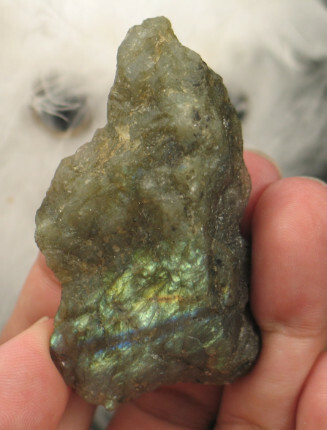 The elixir form of Labradorite purges negativity bringing well being to you; it also has pain killing properties. It is a very balancing harmonious energy. Labradorite soothes menstrual pain and PMS. It helps your intuition, especially the timing of things. Personally, I use citrine in conjunction with labradorite to help keep panic/anxiety attacks at bay.